Two crazy Daisy stories to tickle your ribs, plus pictures by Nick Sharratt. It’s a giggle attack! Do you love reading with Daisy? Then here’s some great news. This book has double the Daisy! What will you find inside? Two of Daisy’s best-ever stories in a great new format for you to read on your own. 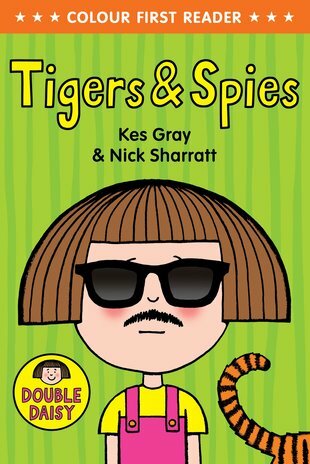 A secret spy mission plus wild cats: what more do you want in a book? We say it’s epic. So does Daisy. So will you! Can you draw a bridesmaid dress for Daisy?